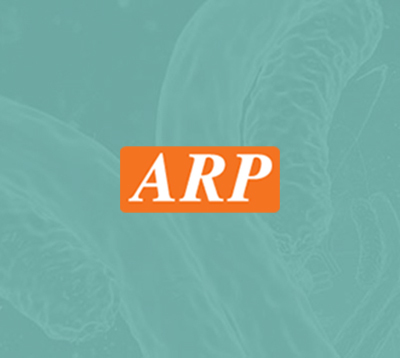 SHH, 25-198aa, Mouse, Recombinant, 01-1819 | ARP American Research Products, Inc.
SHH is one of three proteins in the mammalian signaling pathway family called hedgehog, the others being desert hedgehog (DHH) and Indian hedgehog (IHH). This protien is the best studied ligand of the hedgehog signaling pathway. It plays a key role in regulating vertebrate organogenesis. SHH contain amino-terminal signal peptides and apparently function as secreted proteins involved in the mediation of various cell-cell interactions. Recombinant mouse SHH protein, fused to His-tag at C-terminus, was expressed in E.coli and purified by using conventional chromatography techniques. Dsh, Hhg1, Hx, Hx13, Sonic hedgehog protein HHG 1, HHG1, HLP 3, HLP3, Holoprosencephaly 3, HPE 3, HPE3, MCOPCB5, SHH, SMMC I, SMMCI, Sonic Hedgehog (Drosophila) homolog, sonic hedgehog homolog (Drosophila), Sonic hedgehog homolog, TPT, TPTPS. Bak M., et al. (2004) Brain Res Mol Brain Res. 126(2):207-11. Dassule HR., et al. (2000) Development. 127(22):4775-85.